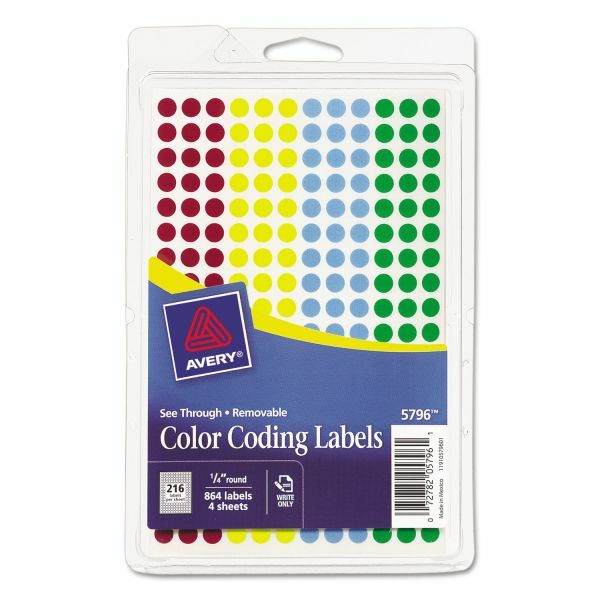 Avery See Through Removable Color Dots, 1/4 dia, Assorted Colors, 864/Pack - Translucent round color-coding labels highlight without covering information and remove quickly and cleanly to make revisions or reposition. 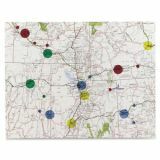 Round color-coding dots are ideal for maps, ledger sheets, financial reports, calendars, day planners and more. Assorted colors include red, light blue, green and yellow.